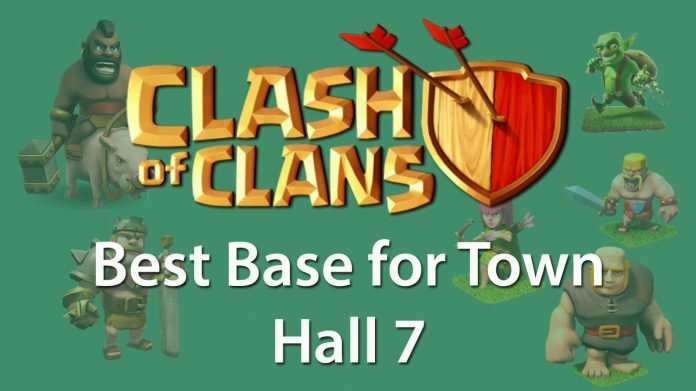 Town Hall 7 is the most common Town Hall in Clash of Clans and most of the players are included in this category. Town Hall 7 is the starting of a complete new and powerful game that unlocks various buildings, troops and many other things. Therefore we have collected few hand-picked base that are available for Town Hall level 7 and can be considered by the players. Though these bases will work differently for different players but the overall response from these bases are positive. We are providing 3 farming base layouts and 3 war base layouts that you can try yourself and experience the difference. If you have some suggestions or have any better base layout for Town Hall 7, then please do share it here and we will happy to include them here. As per the recent update, players are required to keep their Town Hall inside the base so that they can save their loot because now Town Hall keeps a major amount of loot during an attack. 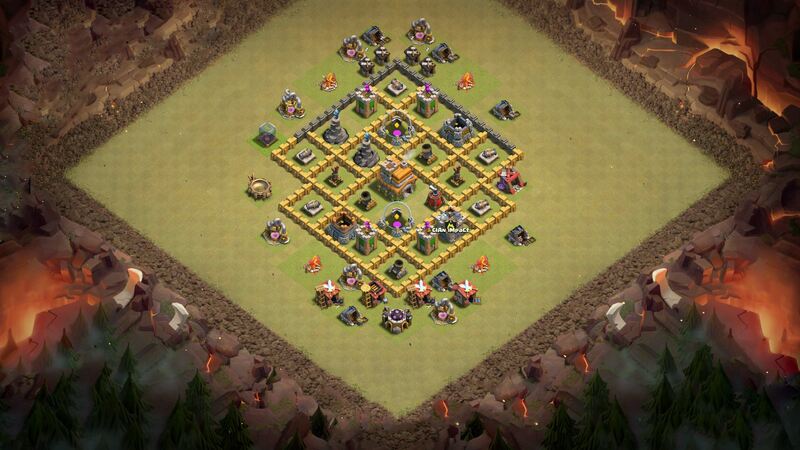 According to this update we have only picked those bases which have secured Town Halls inside the base. 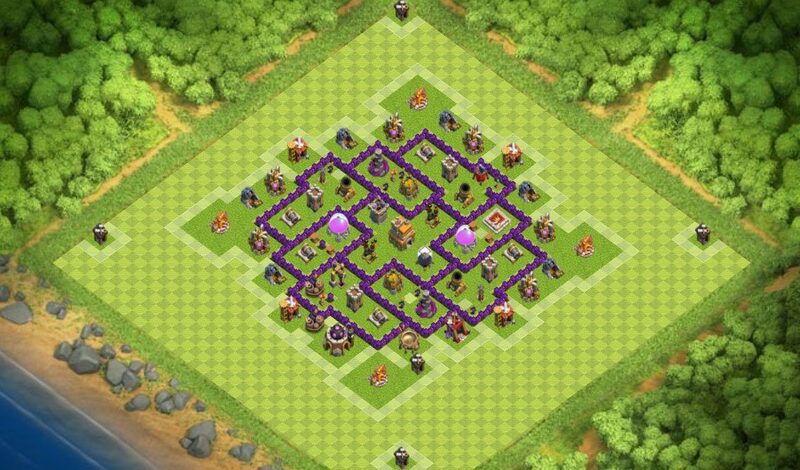 Please note that these Clash of Clans base are only for Town Hall 7, and these might not work with other level as they have different resources, building and troops availability. 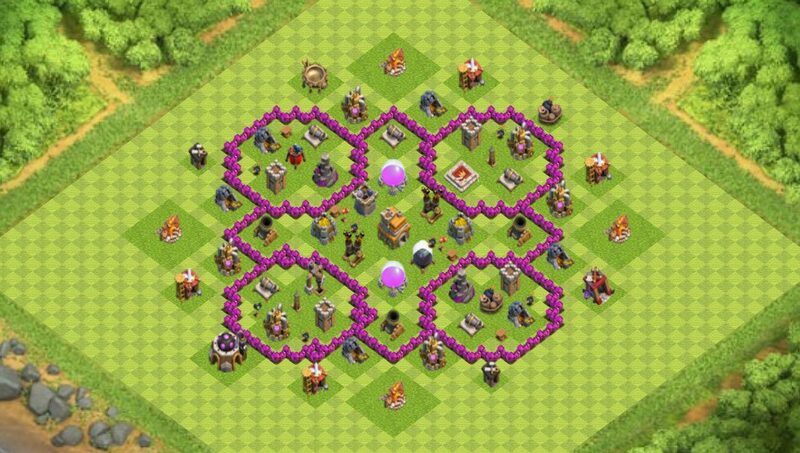 You can use the above base in your game play if you are already in Town Hall 7 with all the resources. 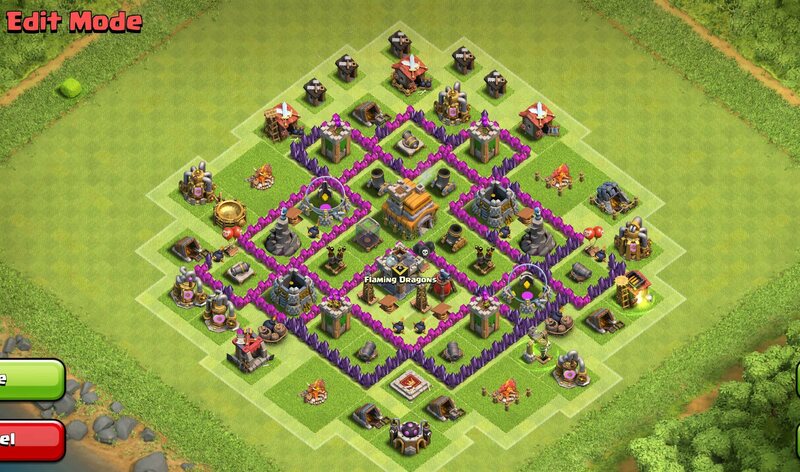 The above base can further be optimized by increasing the buildings and troops to maximum level. 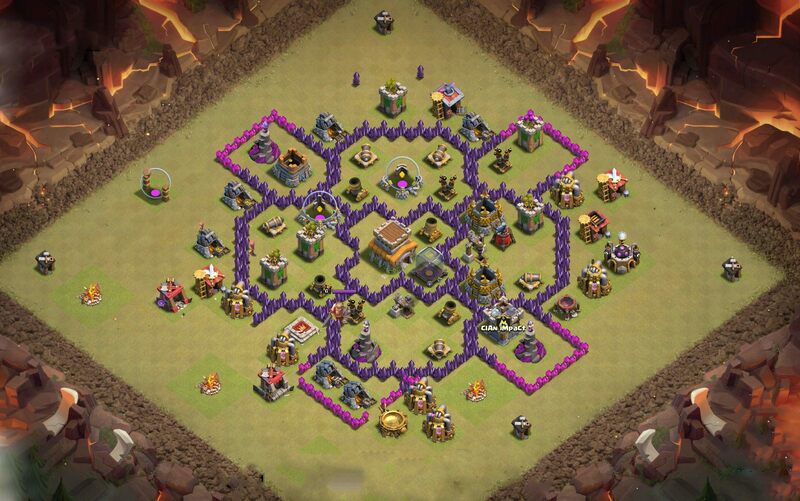 The above provided COC base are only for experimental purpose and the results may differ from player to player. 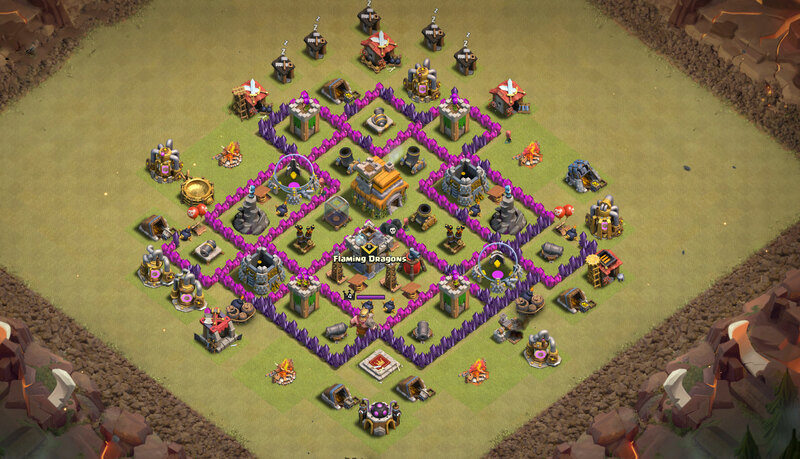 To get more tips and tricks on Clash of Clans, stay tuned with us. We will soon come with new updates with more base layouts from other Town Halls as well.